Engelsk orakelkortlek på 44 kort av Steven D. Farmer. Animal spirit guides are spirit helpers in animal form, who can provide guidance for questions you have about any aspect of your life. 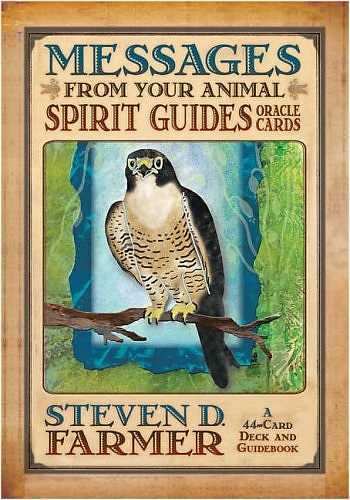 In this stunningly illustrated deck of 44 oracle cards, you will find clear and concise messages from each of the spirit animals represented that offer sensible advice on whatever question you pose. Whether you're a beginner or an experienced reader, the accompanying easy-to-follow guidebook provides detailed instructions to help you give accurate readings for yourself and others, as well as elaborations on the initial message from each animal spirit guide.